For the team behind the movie Gosnell, opening day was supposed to be a relief. Producer Ann McElhinney said, "I thought the other day when the film came out, 'Oh good! We're safe now!' We're not even slightly safe." That's just one of the shocking revelations she shared on "Washington Watch" about what the industry is doing right now to shut down a film so successful that it was in last weekend's Top 10. "It is relentless what we've put up with here," Ann told me. And it's been four years," A long four years at that. For most people on the Gosnell team, it was the movie that almost wasn't. They've battled Hollywood, Facebook, NPR, and even a crowdfunding site just to get the film on the screen. And now that it is, the establishment doesn't want it there. Make no mistake, Ann explains, "This film did a phenomenal business over the weekend. We were the number one independent movie in the country." But here's the incredible part. "The theaters where we're doing the most money, where the most money is being made, they're dropping us. They're going to drop the movie. They're not going to continue to play it." "We have reports from all over the country where people go to a theater where they know it's playing, and there's no movie poster up. It's not on the marquee. They've almost left the theater, thinking 'Oh my gosh, it's not here. We've gone to the wrong theater.' They've gone to theaters and been told by the guy selling tickets, 'You don't want to go and see that. Why don't you go and see Venom instead...'"
"I'm telling you, I just got off the phone -- and the distributor said in his career, he has never had the reception he's gotten for this movie from the movie theaters -- in a 30-year career... So I would say to your listeners, they need to get out there -- and they need to get out there in numbers and buy tickets, even if they can't go." What makes the reaction even more astounding, Ann points out, is how profoundly the film is changing people's lives. "I can tell you, on the flip side of that, we're seeing and your listeners can look on Facebook at the Gosnell movie page and see what people are saying... at the end, people sit until the very end of the credits. At one place, a priest stood up and said, 'Would anyone like to pray?' and everyone stayed, and everyone prayed... In other places, people huddled in groups in the foyers of movie theaters and prayed. This is what we're getting from the audience. But I can tell you that the warfare from the establishment is phenomenal." If you've been to the movie, then you understand how life-altering Gosnell is. Ann said she could stay on the show "all day reading the most beautiful letters from people who have changed their mind about abortion from watching the movie..." Others, she told me, have written and said they just didn't know. They thought abortion was only legal up to three weeks, or they had no concept of what was involved. The testimonials are all over Gosnell's Facebook page. This is one of those rare moments in time when the pro-life movement has the opportunity to make serious impact on the hearts and minds of Americans. So what can you do? Keep buying tickets, for one. Take your church group, your family, or your Bible study. If your local theater isn't playing the movie, call them up and demand it. Then have your friends do the same. Ask them, "Why won't you show this film? It's an incredible movie. 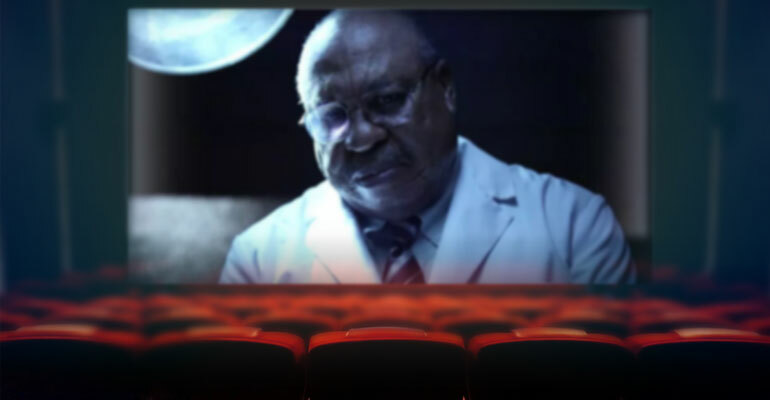 Gosnell is the number one independent movie in the United States. It's something I care about. My family cares about. Our church cares about. A huge number of people in this country care about it." Then, most importantly, pray. There's a spiritual battle taking place in America over the truth in this movie. And it's a battle -- after 60 million unborn lives -- that needs to be waged.